We’ve been mentioning for a few weeks that the September 14 release date is going to be a busy one. Already on the schedule for the same date are albums by (in alphabetical order) Clare Bowditch, Nelly Furtado, Wiz Khalifa, The Killers, Muse, Pet Shop Boys, Pink and The Presets. As of today’s Universal Music release schedule, you can add a couple more. Firstly is the (as yet untitled) new album for chart darling Carly Rae Jepsen, whose single ‘Call Me Maybe’ has been an international smash. 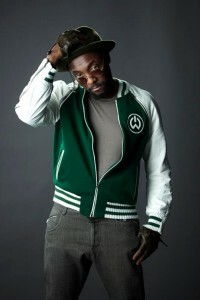 But secondly is the high profile new release from Black Eyed Peas frontman Will.I.Am. ‘This Is Love’, the lead single from his forthcoming album ‘#Willpower’, is already in the top ten on the ARIA singles chart, boding well for the success of the new LP, which is also set to hit on Friday September 14. For that week alone, start saving your pop pennies now. To be honest, that one completely slipped our mind too! Nothing from Sony yet, no. As soon as we hear anything, we’ll pop a story up on the site. Have we got a release date for Rita Oras debut album yet?